Google has been a little secretive about its proprietary software but now, the company has actually thrown open the doors to Chromecast. In fact, the company has actually welcomed app makers to get their apps ready for TV. Google plans to develop the Chromecast dongle had been in the pipeline for several years now but the plan actually set off when the company unlocked the software kit on Monday morning. App developers can now use the Google Cast Software Development Kit (SDK) to stream their apps or set up their own websites on the Chromecast. 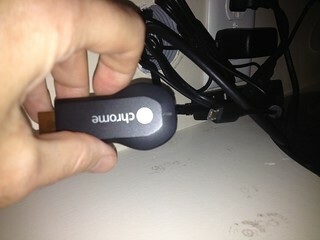 Chromecast acts as a receiver and you can plug it into any TVs HDMI port. Internet site compatibility also works provided the site is set up with Google Chrome extensions available online for users. The Google Cast Software Development Kit (SDK) was previously available only to major TV channels like HBO, Netflix and Pandora but it has now opened up to software developers and users. Provided the cast SDK is integrated with apps, the software can be set up on any regular app marketplace. Rishi Chandra, Chromecast's director of product management pointed out that Chromecast could resettle all consumer applications and it already worked on tablets and phones. Very soon, it would be applicable on television as well. This would be a major advantage for users on the development and user end. In fact, he pointed out that the success of Chromecast could prove to be a major advantage for Google and its plan to get on to TV. In the end, it all comes down to success. Chandra pointed out that Chromecast developers were Chromecast users and they were committed to making sure that it succeeded. As a result, developers had already made sure that the software worked on iOS and Android tablets and Windows laptops. The next steps was to find turnkey solutions that would make Chromecast applicable on TV and as quickly as possible.